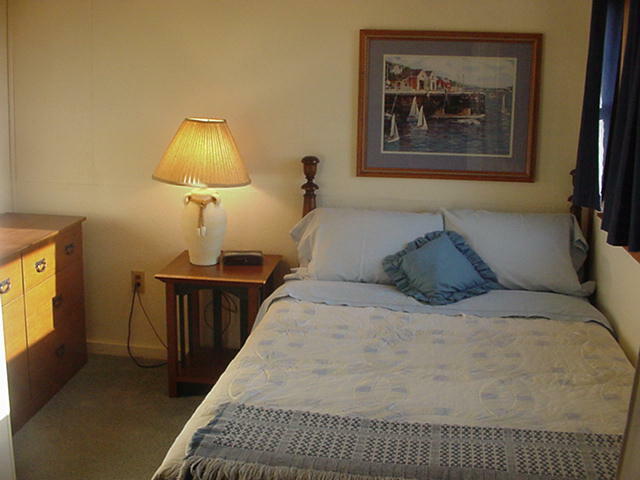 A large 4 bedroom that is great for a group up to 4 adults, with a room with three twin beds for the kids. 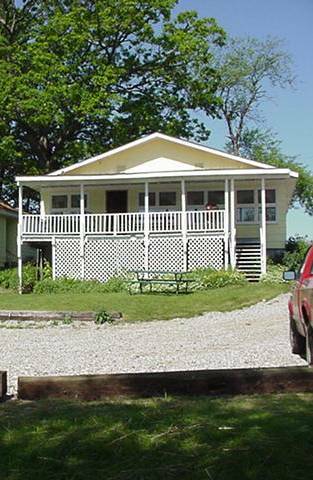 It has a large open deck that faces the lake and a large kitchen for those get togethers. 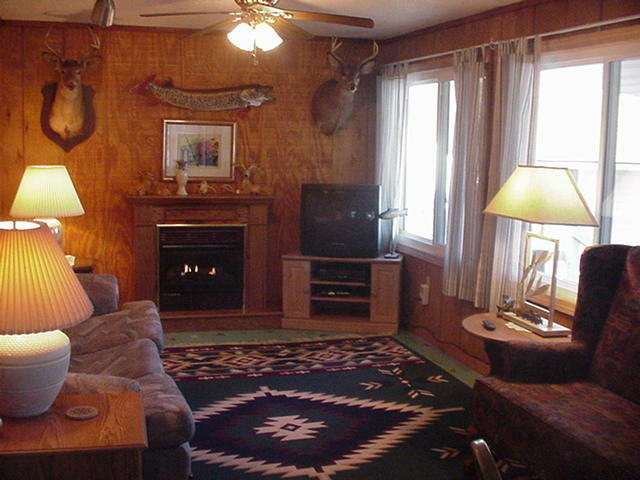 A gas log fireplace adds extra charm to this spacious cottage. Fully Equiped Modern Appliances. Take the work out of eating, this one has a dishwasher. 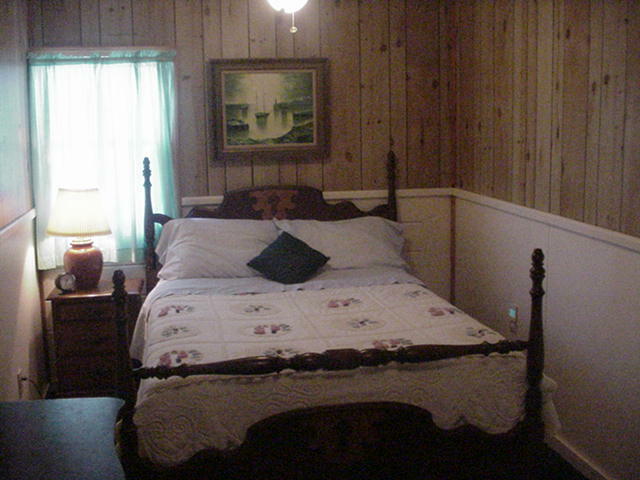 cottage #3 has a special quality about it,it is very spacious,the rooms are large, and the view is great!! It has easy access from the road and is very modern...yet rustic. You can rent this for $640.00 + 6% tax a week. 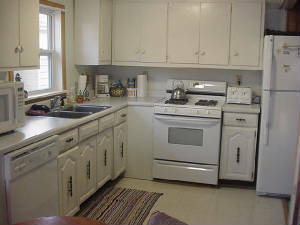 It is also available for nightly rentals during off season. Minimum of two nights stay.